We always strive to convey the essence of our clients’ missions in our designs. In this project, we worked in conjunction with project contractors and the national Toyota Corporation Branding group to remain within the company’s design standards while still creating an attractive, unique facility from the ground up. 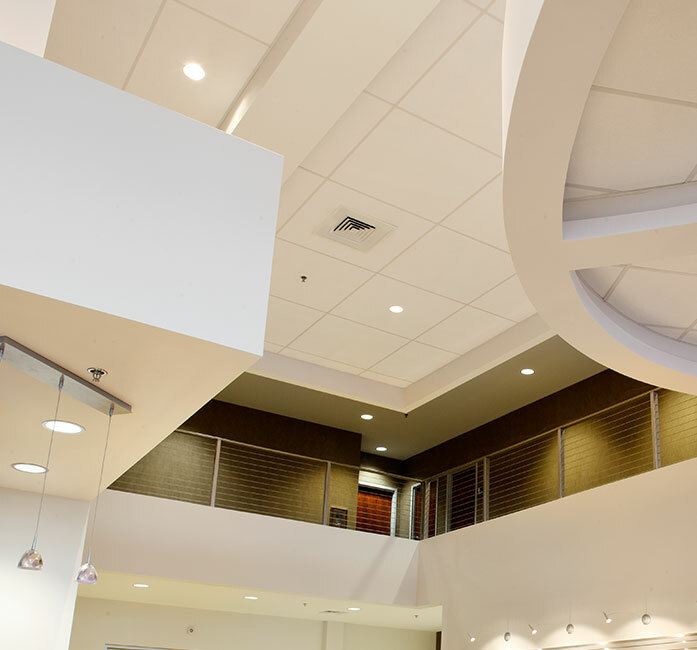 GLMV designed this two-story, 57,646-square-foot auto dealership in Wichita, Kansas. It includes a large showroom, service department, office space, vehicle maintenance bays, customer service areas, and storage space, as well as a service drop and maintenance area with in-ground vehicle lifts and alignment stations. Kroger is one of the world’s largest grocery retailers, operating under different banners all across the country. Because we understand the emotional connection millions of customers feel to their grocery stores, we strive to maintain the integrity of Kroger’s 130-year history in each design.